Learning from our mistakes is a surefire way to avoid making them in the future. When it comes to the world of online Marketplaces, there have been many examples of success. Just look at what Amazon has been able to create alongside Apple’s iTunes, Alibaba, Wayfair, or Jet.com (aquired this summer by Walmart for $3 billion). What these brands have figured out, above all other things, is that the key to their success is in a great customer experience for the buyer. Amazon is famous for their virtuous cycle strategy, the brainchild of Jeff Bezos and a critical guiding mantra for the e-commerce giant today. A fantastic customer experience drives happy customers. Happy customers then attract more customers, mostly through word of mouth, attracting more sellers, increasing selection for customers, and driving down costs, and competing on great service, further delighting more happy customers. The cycle starts again. For this reason, your entire Marketplace team should be focused, every day, on improving customer satisfaction and building trust. Homejoy Marketplace learned this lesson the hard way. Homejoy, which connected house cleaners with customers, saw its activity grow very quickly from 2012 to 2014, closing a $38 million round of funding in 2013 led by Google Ventures. The company shut down in July 2015. What killed such a promising business with a market estimated at €400-800 billion? Because Homejoy’s cleaners were independent contractors that could legally not be trained on how to clean a house, Homejoy could not build and ensure a strong product/service through consistent and regulated quality of service. For Homejoy, the inability to ensure consistent service led to a poor customer experience, and ultimately to customers bypassing Homejoy and shopping direct. The real issue here was trust - consumers simply did not build a trusting relationship with Homejoy. The key to creating trust with customers is through transparency and regulation. A Marketplace operator builds trust by providing a good buying experience that provides all relevant information on sellers, resolves any issues encountered with them if needed, and of course, the most important element – shares the product and seller ratings. A Marketplace is essentially an ecosystem that need to be regulated and managed to ensure high standards of quality, as proven by the unfortunate fall of Homejoy. 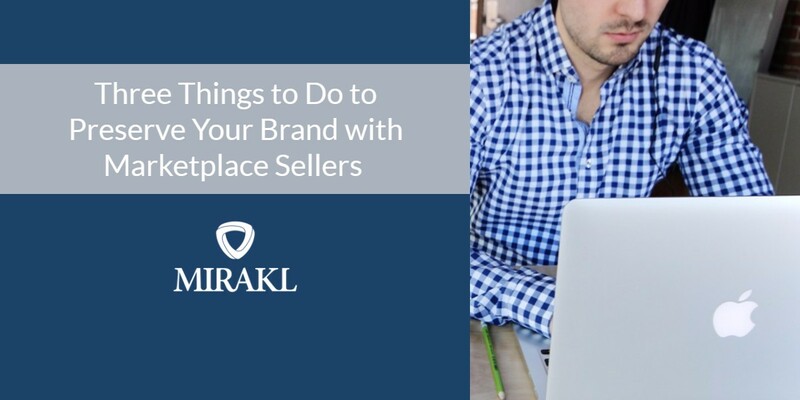 Want to see why leading online merchants use Mirakl to power their Marketplaces? Click here.